Ms M's Bookshelf | If a good book, a night at the theatre, eclectic music, or a great movie are things you love to talk about, then this site is for you! Lost Ottawa began as an experimental FaceBook community in February of 2013 where McGee posted archival photos and postcards and inviting the community to share their memories and comments. When Lost Ottawa was published in 2017, the community had reached approximately 42,000 members, had posted more than 8,000 pictures, and people had left more than 90,000 comments. An amazing tribute to what people value about past times — the buildings and events that evoke emotions in us — even for those of us who only recognize the new and think, ‘Wow, that’s what it was like back then’. The first post, February 10th, 2013, showed the Chateau Laurier, the Post Office, part of Union Station, and what was then called Connaught Plaza pre-War Memorial, so circa.1930, 35. The post got 42 likes, 2 shares, and 12 comments. Quite a contrast to the way the plaza looks today. The final post included in this book is of the inside of the Bayshore Shopping Centre when it still had fountains and statues (in the 80s) and received 2,002 likes, 645 shares, 248 comments, and 131,019 reached. In between, there was the restaurants, street cars, famous signs, old mills, old ads, lost businesses, technological innovations and the rocket from the Museum of Science and Technology. It’s a walk down memory lane, a trip into the past, a sad comment on progress, and a veritable wealth of trivia. The conversations are interesting to read — lots of memories shared and comparisons made. First Chapter, First Paragraph is hosted by I’d Rather Be At The Beach, you can reach here. Easy to participate. Include your book title and author, a picture of the cover, and quote the first (or first two) paragraph(s) from the book. Leave your link at the blog site along with a comment on what is posted there. Learn about other books people are reading by visiting their blogs and noting their excerpts. The high chandeliers in the Great Hall of Lincoln’s Inn were ablaze with candles, for it was late afternoon when the play began. Most members of Lincoln’s Inn were present the barristers in their robes and their wives in their best costumes. After an hour standing watching, my back was starting to ache, and I envied the few elderly and infirm members who had brought stools. Would you keep reading? Have you read this book already? Share your thoughts and leave a link to your own post. Enjoy your day! 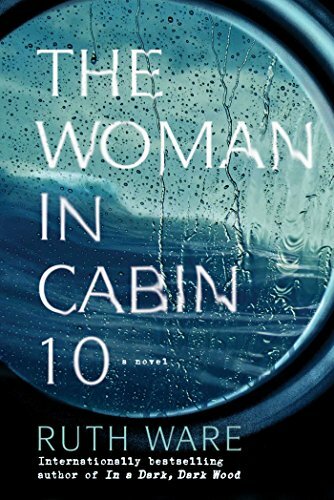 Today’s Mystery Monday offering is by Ruth Ware, The Woman in Cabin 10, a story of extreme identity theft, full of tension, deception, and betrayal. This is the first book I’ve read by Ware but it won’t be the last. The bulk of the story takes place at sea where, of course, it is easy to dispose of a body. But the beginning in London, where we meet a terrorized travel writer, Lo Blacklock, is what truly grabs readers and pulls them into a unique plot. Awakened in the middle of the night to find a burglar in her tiny basement apartment going through her handbag, she walks towards the door, only to have it smashed into her face, whereupon the burglar locks her in, removing the spindle of the knob from the other side. For the next 300-odd pages, we are trying to figure out the how and why of this invasion — and what, if anything, it has to do with Lo’s upcoming cruise. Blackwood has lucked into an amazing job opportunity — covering the maiden voyage of a sumptuous luxury yacht, Aurora, as it heads through the romantic Norwegian fiords with its rich and famous, press and publicity people. Owned by super-wealthy Richard and Anne Bullmer, this trip is an exclusive sailing and Lo is hoping it will be a good break from a complicated relationship — a chance to think things through and determine what she really wants — a real vacation. There are ten cabins on board, one of them supposedly unoccupied, and yet, Lo meets and talks with the woman next door in cabin 10. Hearing a scream in the middle of the night, Lo gets up to investigate, finds bloodstains, the woman is missing, and no-one will believe that anyone was ever there. Despite warnings to stop digging, an attempted seduction by a former boyfriend, and the fact that none of her emails are getting through to boyfriend and family, Lo keeps digging until finally she begins to piece together the truth and finds herself imprisoned in the hold, terrified with the knowledge that she is not only expendable but that it is imperative that her life be forfeit. My dad said this every morning and now I do, too. Most days I sing it. Thanks, Natalie. Everyone, enjoy my Sunday Reblog. I finished all of the books so far in Brenda Chapman‘s Stonechild and Rouleau series of mysteries and thoroughly enjoyed them. Anxiously awaiting the next in the series. Then I cast my eyes around my bookshelves and lighted on the two C.J. Sansom Shardlake books I bought at least a year ago, Lamentation and Revelation. I had kept putting them off because they are quite thick paper backs and I wasn’t sure I was ready for that. However, I picked up Lamentation and read it in a day. Went out and bought all the rest in the series and proceeded to read Revelation and Hearstone which come right before Lamentation. WOW! Thoroughly enjoyed them. I wish I could remember where I heard about them. I have this vague memory of watching a movie or episodes about Shardlake on TV but can’t come up with it when I Google so that, at least, may remain a mystery. These are books that take place during the reign of Henry VIII and are fascinating. While the overall outcomes are familiar ground, the tension of what will happen to Sergent Shardlake next is what keeps you turning the pages. Three more to go but taking a break and reading The Cat’s Table by Michael Ondaatje which came to me in a small stack generously donated by friend Patty. I’ve picked up some books about Habakkuk which kind of grabbed my interest out of the blue when a verse from another study took me there. This is a minor prophet in the Bible and although it follows Lamentations, I’ve learned it actually it was written earlier. One of the books is called Habakkuk: A Wrestler With God but I was intrigued that it is actually a psalm written for his chief musician. Well, that’s what I’ve been up to. Tell what’s on your bookshelf! The story begins in 1881 with Louisa, a recognizable figure by now thanks to Little Women and Little Men, boarding the Boston train for Bellows Falls, Vermont, where she would then rent a Rockaway to travel the rest of the way to Walpole, New Hampshire. She is travelling to meet with Joseph Singer to try to persuade him to destroy letters written by her that tell about the summer of 1855 — a story she would prefer not become public after her death, an event which she feels is not too far off. McNee then proceeds to tell us the story of that summer. It is the summer of the publishing of Walt Whitman‘s Leaves of Grass, and thanks to a father who is a philosopher, the Alcott family is familiar with Thoreau and Emerson and other Transcendentalists and Louisa will read Whitman’s tome and be highly impacted by it. Also thanks to a father who is a philosopher, the Alcott family finds themselves living in Walpole, NH on the generosity of family in a rambling house called Yellow Wood with scarcely the where-with-all to feed and clothe themselves. Anna & Louisa share the attic room and six dresses between them and, although they have so little, they still must make extra candles for the poor when they make them for their own family. Still, the family manages somehow to live in harmony with only a few altercations where Marmee implores Bronson to take a job to feed his family. The son of the proprietor of Singer’s Dry Goods, Joseph, sets his cap for the 22-year-old Louisa, unaware that she has sworn to make her own way in the world and never marry. The rest of the family (except for the father who is absent in the war) is pretty similar to the March family of Little Women. If Alcott based her stories on her own family experiences, then it shouldn’t be surprising that this fictional biography should seem based on Little Women. Louisa herself is the “Jo” from the story and her sister Lizzie is “Beth”. Joseph, of course, is Lawrence. First Chapter, First Paragraph has a new host, I’d Rather Be At The Beach, you can reach here. Easy to participate. Include your book title and author, a picture of the cover, and quote the first (or first two) paragraph(s) from the book. Leave your link at the blog site along with a comment on what is posted there. 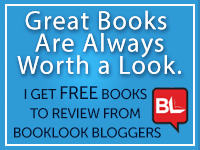 Learn about other books people are reading by visiting their blogs and noting their excerpts. The first person I met in England was a hallucination. I brought her with me, onboard the serene ocean liner that had carried my numb, grief-haunted self from New York to Southampton.